Dermatologist Dr. Okuda of Japan pioneered hair transplants dating back to approximately 1939. Early teachings described restoring damaged scalp areas to burn victims using a "punch technique". His extraction method involved removing healthy round pieces of scalp, placing these small grafts in smaller round holes. Monitoring newly transplanted material inside the scarred region revealed life to new hair. Dr. Tamura initiated a similar method in 1943, collecting 1-3 mini-grafts of hairs utilizing elliptical incisions from the donor area. Japanese medical journals documented Dr. Tamura's work extremely well but went undiscovered as World War II began. Dermatologist Dr. Norman Orentreich, performed the first hair transplant surgery involving male pattern baldness in North America. His donor hair dominance theory in 1959 was discussed in archives of the New York Academy of Science forever changing historical hair loss methods. The methods of Dr. Okuda and Dr. Orentreich remained the standard replacement procedures for the next three decades. Micro-grafting improvements in 1980's introduced a more natural look in the frontal hairline. Aesthetic qualities were realized with the new developments. Follicular unit hair restoration was credited to Dr. Bob Limmer in 1988. Numerous practitioners attempted duplications not knowing this area demands a high degree of difficulty to remedy hair loss. Experienced specialists recommend only professionals to attempt follicular unit hair replacement. Starting in 1999, Dr. Antonio Armani, award winning Toronto hair transplant physician took the industry into a new era of hair transplants. Leading edge scientific technology, a reputation for excellence, and attention to artistic detail has spawned the meteoric rise of his Toronto based company. Virtual worldwide offices along with Beverly Hills, Toronto and Dubai clinics, welcome clientele offering the Vitruvian FUE hair restoration method. 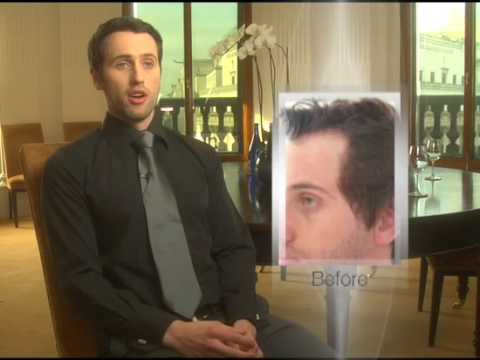 Alvi Armani's minimal invasive technique allows rapid healing time, maximum density, and strategic placement focusing on artistic hairlines.